It is 1988, the year before the Berlin Wall came down. Jonathan Fabrizius, a journalist living in West Germany, is asked to travel to the contested lands of former East Prussia - where the Nazi legacy lives on in buildings and fortifications - to write about the route for a car rally. It’s a plum job, but his interest is piqued by a personal connection. Here, among the refugees fleeing the advancing Russians in 1945, he was born. 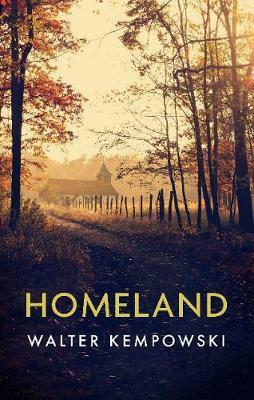 Homeland is a nuanced work from one of the great modern European storytellers, in which an everyday German comes face to face with his painful family history, and devastating questions about ordinary Germans' complicity in the war.